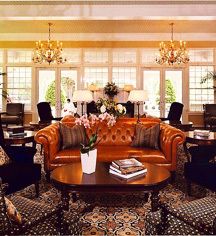 Founded in 1895, Pinehurst Resort is a quintessential destination encompassing three historic hotels, a wealth of recreational activities, and 2,000 breathtaking North Carolina acres. Set in one of America’s only National Historic Landmark Districts, Pinehurst recalls a pleasant time gone by. Pinehurst Resort and its village were designed by famed landscape architect Fredrick Law Olmsted as a health retreat amid towering pines and mild Southern breezes. Wide verandas, afternoon tea, walking trains, and bucolic pathways meander through the quaint New England-style village, which is full of shops, galleries, and other historic and cultural attractions. 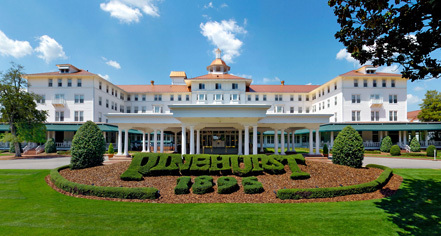 Pinehurst Resort was the site of the 2014 US Open and US Women’s Open Championships. Known for championship golf, Pinehurst Resort was the site of the first miniature golf course and practice facility in America; however, its founder James Tufts, never played the game. Airport Transportation: Please contact hotel to arrange airport shuttle service; $89 one way per person. Cancellation Policy: Cancellations must be made more than 21 days prior to arrival to avoid full forfeiture of deposit. Deposit: $300 per person deposit required at time of booking. Early Check-In/Late Check-Out: Subject to availability. Please contact hotel. Extra Person Fees: Extra person charges may apply. Hotel/Resort Fees & Taxes: Resort fee of 10% of room rate includes various amenities. All reservations may be subject to a 9% local tax. Occupancy Restrictions: Varies by room type. Maximum 4 guests per Carolina Room, 8 guests per condominium. Rollaways: Available upon request; rates may apply. Learn more about the History of Pinehurst Resort .